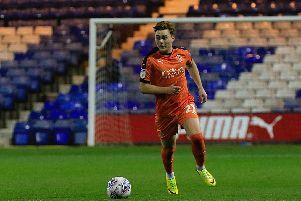 Luton Town have officially been cleared by the Crown Prosecution Service over two allegations of racism following their League One match against Accrington Stanley in October of last year. During the fixture on Tuesday, October 23, which Luton won 4-1, a BBC Radio Lancashire commentator claimed he heard alleged racist remarks towards visiting striker Offrande Zanzala. That was followed by assistant BBC Sport producer Karen Fazackerley, who was in the away end, alleging on Twitter that defender Michael Ihiekwe was the victim of monkey chants from Luton supporters, a post that was retweeted to almost 150,000 followers by sports presenter Jacqui Oatley. However, a police spokesperson for Bedfordshire Police has confirmed to the Luton News this morning that after reviewing the file submitted to them, the CPS has determined there is insufficient evidence to bring a criminal prosecution. The statement said: "We received two allegations of racism following the Luton Town v Accrington Stanley match at Kenilworth Road on Tuesday 23 October. “The first was an allegation of racist chanting. "We investigated several lines of enquiry, including interviewing witnesses and reviewing audio footage of the game and CCTV, but did not identify any specific comments or suspects and found no evidence of an offence being committed, so the investigation was filed. “We also received a second allegation of racist comments directed towards a player during the match. "We thoroughly followed all available lines of enquiry, including interviewing fans and others in attendance on the day, reviewing all footage and audio from the match. “The CPS reviewed the file that we submitted to them, and determined that there was not sufficient evidence to bring a criminal prosecution. “We continue to work in partnership with Luton Town Football Club with Kick It Out and Show Racism The Red Card. "Racism has absolutely no place in society, and football is no exception to that.